A solder paste is a metal solder in a powdered form and suspended in flux. The flux works as a temporary adhesive for holding the PCB components until soldering melts the solder and the parts are fused together. The paste is very commonly used in the soldering process, especially when reflow soldering method is being used. Traditionally, the solder paste was made from lead and tin. However, with the recent legislation with regard to the health risks of using lead, lead-free pastes are now more common. If you are involved in PCB production and are looking for the correct way to apply solder paste, the below-mentioned steps are sure to help. 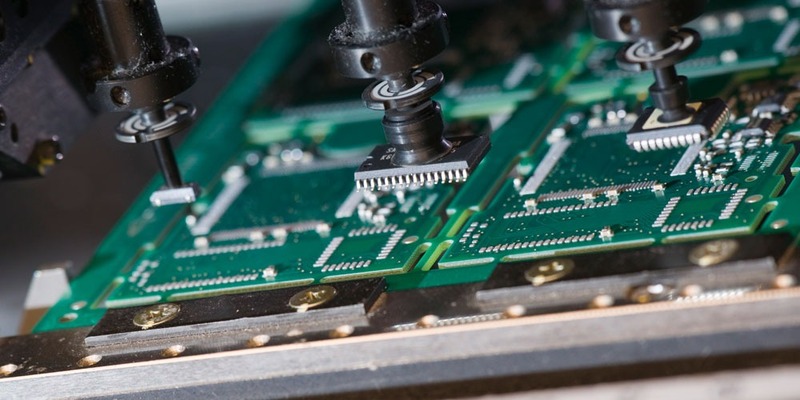 While commercial facilities already have arrangements to hold the PCB in place to apply the solder paste, home projects can be done with the help of a small vice, clamp, wood, tape, etc. There are also stencils available in the market that you can use. With the help of the vice or any other tool, you select, hold the PCB with the part where solder paste is to be applied on top. Once the PCB is in place, dispense the paste on the copper pads or the places where the components need to be soldered. Just squirt a very thin line of paste and do not worry if the paste spreads to other parts of the PCB. When the board will be heated, the solder paste will shrink and become hard on the pads. When the paste is applied, carefully place the component that needs to be soldered on to the PCB and supply heat from the top. You can use an SMD counter machine or other soldering or reworking station for the same. You’ll see that the solder paste would turn into liquid and then into dusty and shrink before finally turning hard on the copper pads. That is it! You’ve successfully applied the solder paste on the PCB board. If there is any additional solder paste left on the board, wipe it clean with the help of paper towel before you start soldering. Also, if you do not want to apply heat after placing the component on the PCB, you can just place the component on the board, and it’ll dry up within 40-45 minutes. For cleaning the tools that you used for applying the paste, you can use rubbing alcohol and paper towel. If this is the first time that you’ll be applying solder paste on PCB, follow these simple steps, and you’ll surely be satisfied with the outcome. As for the solder paste, look for a reliable brand that offers water soluble, lead-free and halogen-free paste. 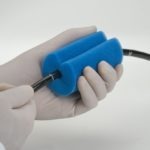 A solder paste mixer can also be used to create the paste on your own.